E3 2018 gave us the first extended look at The Last of Us Part II gameplay, during Sony’s press conference. 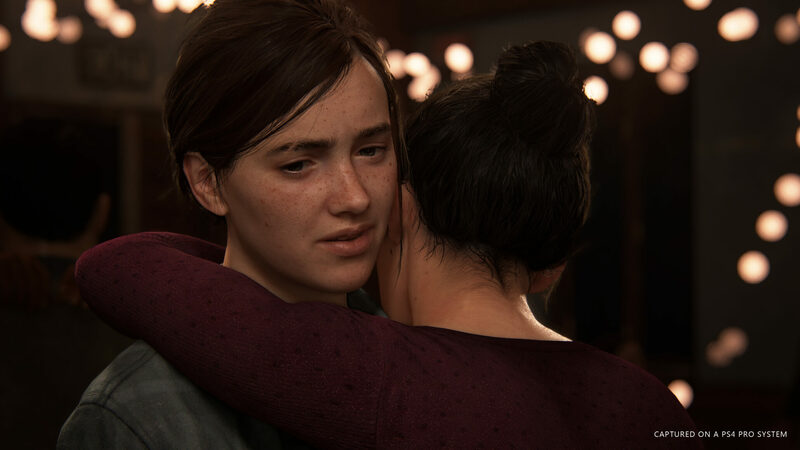 Once again the footage contained a lot of ruthless combat against humans but in an interview published by The Telegraph (though only available to Premium users) Game Director Neil Druckmann said that there will “absolutely” be quiet moments in the sequel as well, similar to the memorable moment where Ellie and Joel encounter a giraffe in the first game. Absolutely. I think without it it would feel relentless. I remember with the first game we were talking there was obvious inspiration for us from The Road. And I said, I don’t think The Road would work as a long-form game because that book, as beautiful as it is, is just relentless. So for us you need those moments of reprieve, you need to see those moments of happiness, of dancing, of humour… but again we’re telling the story about the pursuit of justice and all the suffering and pain that can come with it and we’re not going to shy away from what that means and the kind of experience we want the player to experience. But we want the full emotional experience for you to feel the full impact of that journey. Later in the interview, Druckmann made it clear that Naughty Dog is in no rush to release The Last of Us Part II and if need be, he’s willing to do even twenty or thirty takes on a scene to get it right. We have a whole day where we’ll just rehearse. Half of it is sitting around a table going through the scenes, going through the words, workshopping them, talking about any backstory we might have to fill in, any ideas they want to bring to the table. Then we’ll shoot it – but even while we shoot it, we’ll keep it flexible. We’re lucky that we have the luxury of time. Nothing feels rushed, we’re going to stay with a scene and I don’t mind doing 20 or 30 takes if need be. We’ll just explore options. If somebody has an idea and they want to do another take I’ll always give it to them. We might find a nugget in there. It’s not that surprising that The Last of Us Part II doesn’t have a release date, then, but that shouldn’t worry fans too much. During the E3 Coliseum panel a couple days ago, Druckmann said they won’t announce the release date until they’re actually close to finishing the game, so there’s still a chance might come out next year. For more gameplay details, check our previous report.